The Official Technothlon App is here! Download the app and stay up to date on all things Techno! 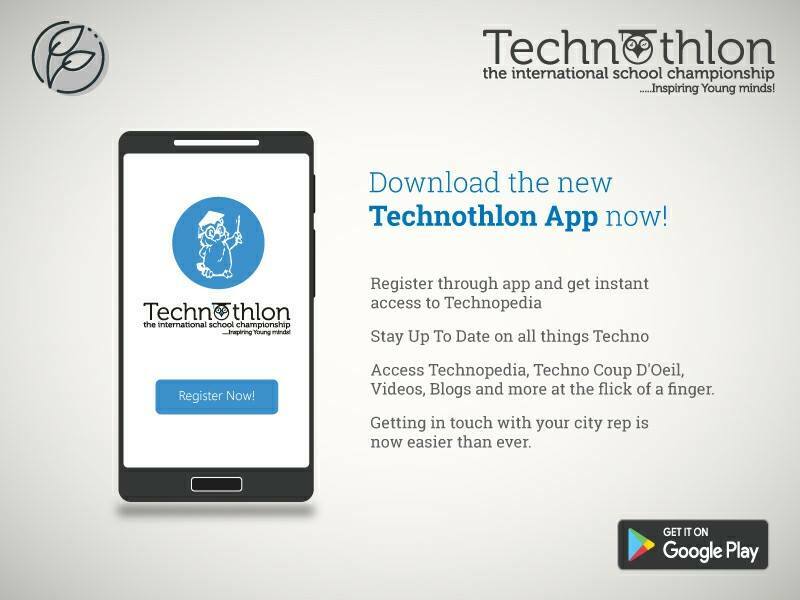 Register through app, get instant access to Technopedia! Contacting your city representative is now easier than ever! Technopedia, Techno Coup D'Oeil, Blogs and Videos, all in one place! Stay up to date on all things about Technothlon!